I haven't tried much from Burberry Beauty so far, but what I have tried has been beautiful. 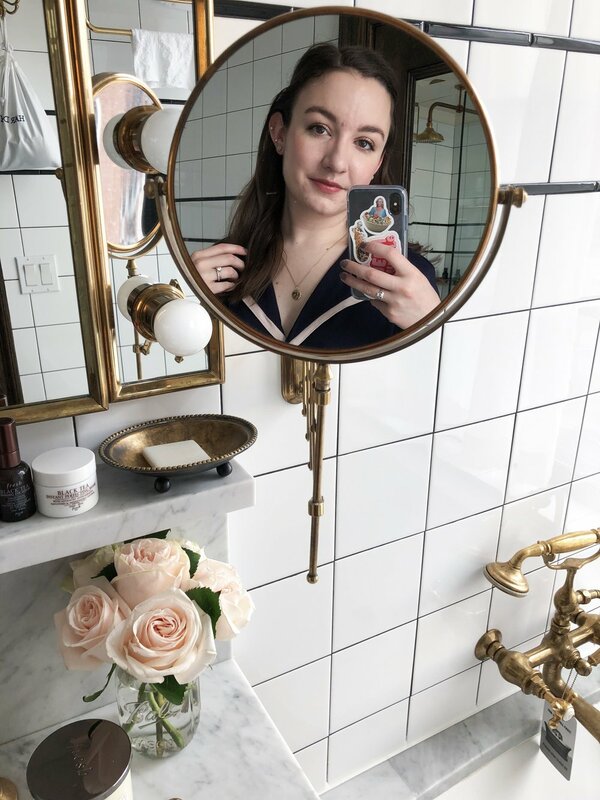 So when an email from Influenster popped into my inbox a couple weeks ago saying I'd be receiving the Burberry VoxBox showcasing the new Liquid Lip Velvets, I was over the moon and anxiously awaited its arrival. The box came with two additional Burberry products, but this review will focus on the Lip Velvets. I was sent the Liquid Lip Velvets* in the shades Fawn No. 5, a rosy brown, and Bright Plum No. 49, a lovely plum/berry shade. The Lip Velvets are meant to be a whipped, creamy formula that promises to be both bold and comfortable. Whoever came up with the name "Lip Velvet" was certainly right - these literally feel like velvet gliding on your lips. It's a mousse-y texture that's a far cry from drying, runny liquid lipsticks. The "drier" texture makes them so much easier to work with and control. One of the other products included in the box was a lip liner to match Bright Plum, but these are so easy to apply that I don't even feel like I need the liner. Liquid lipsticks that have this "mousse" formula tend to be my favorites (like Ofra and Jouer), so I knew instantly I'd love these. Fawn is just the perfect everyday shade. It's just a touch darker and slightly more brown than my natural lip color, so it makes for a subtle color that's still noticeable. Bright Plum is just beautiful, too - at first I thought it was a little too out of my comfort zone, but the plum shade has the perfect balance of depth and brightness to it. It looks stunning with glowy skin and minimal eye makeup (my favorite look to pair with a bold lip). Usually a liquid lipstick formula as comfortable as this spells disaster for its longevity, but these still have an impressive weartime. I can get about five hours of wear before I notice them fading, and I need to reapply after eating. They fade evenly and don't get crusty or crumbly like some formulas do. And because these are so lightweight, they're easy to reapply and don't crack or flake off. I've definitely found another favorite formula, and while I was thinking I was over matte lips, these might have just changed my mind. I'm definitely going to need to add Dark Rosewood No. 17 and Black Cherry No. 57 to my collection. Have you tried the Lip Velvets yet? *Products have been sent to me by Influenster for review, but all opinions are my own. Please see my disclaimer for more information.